Your beauty sleep redefined. 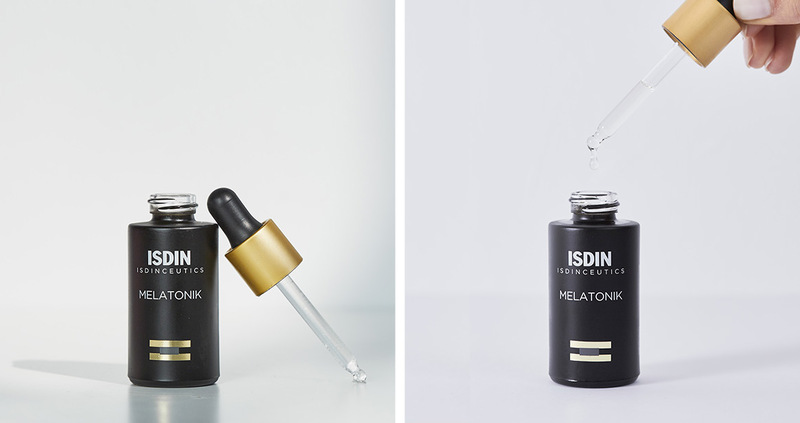 MELATONIK™ stimulates your skin’s natural antioxidant defenses, repairs environmental stress and damages from the previous day, and supports healthy, younger-looking skin. Apply 3-4 drops of the product on the palm of the hand and warm the product. Apply with outward and upward movements, massaging until complete absorption. Stimulates skin´s natural defenses against free radicals caused by UV radiation, oxidative stress and pollution. Anti-aging ingredient of natural origin with retinol-like properties and a gentle profile that helps to restore the skin’s elasticity and firmness. Helps protect against oxidative damage while providing visible anti-aging benefits and helping reduce wrinkles and fine lines. Caprylic/Capric Triglyceride, Dicaprylyl Carbonate, Ascorbyl Tetraisopalmitate, Squalane, Alcohol Denat., 1,2-Hexanediol, Bakuchiol, Caprylyl Glycol, Fragrance, Melatonin, PEG-8, Water, Tocopherol, Ascorbyl Palmitate, Ascorbic Acid, Citric Acid.